Note: While Amazon.com claims 42 reviews, we counted 29 available on their site. great, depending on what you're going to use it for. May 26, 2016 3 of 5 found this helpful. Big and Strong Bag !! 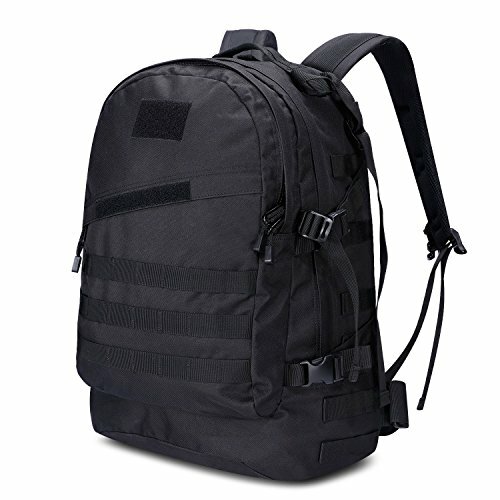 Great size for an emergency bag or bug-out bag! Impressive! High Quality, Sturdy, Cushioned and Padded. Oversized to fit 17" Laptop. We discovered a total of 15 deleted reviews for this product, with an average rating of 5. Even though deleted reviews don't affect the average rating, the fact that action was taken to delete reviews raises some red flags about the integrity of the reviews for the product as whole. 23 of the 29 total reviews for this product are unverified purchases. While this is a higher percentage of unverified purchases than we'd expect to see, it does not appear to have a significant impact on the overall rating. 12 of the 29 total reviews for this product admitted to receiving a free or discounted product in exchange for a review. This is an excessively large percentage of incentivized reviews which may indicate unnatural reviews. 6 of the 29 total reviews for this product use substantial repetitive phrases between them. While this is more than we'd expect to see, it does not appear to have a significant impact on the overall rating. We counted 29 reviews for this product over the span of 187 days, an average of 0.2 reviews per day. If these reviews were created randomly, there would be a 99.9% chance that we would see 3 or fewer reviews on any given day. We didn't find any days exceeding this threshold. 14 of the 29 reviewers have substantial overlapping product review history. This is within an acceptable range and it does not appear to be significantly affecting the overall rating for this product.